Get A Running Start With A Vehicle Title Loan! A vehicle title loan is a quick and simple way to get cash within a day. It’s obvious, when you need a loan, you simply can’t wait a whole month for the funds. You need them today! There is no need to panic; Fast Canada Cash has you covered! How to make money fast through a car equity loan? If the foremost thought in your mind is, ‘‘How can I get money as soon as possible’’ then it’s a great time to fill the online loan application to start. It may become difficult for people to save cash, especially for those who have experienced a great loss or have a poor credit rating. Applying for a vehicle title loan allows you take the cash right away! 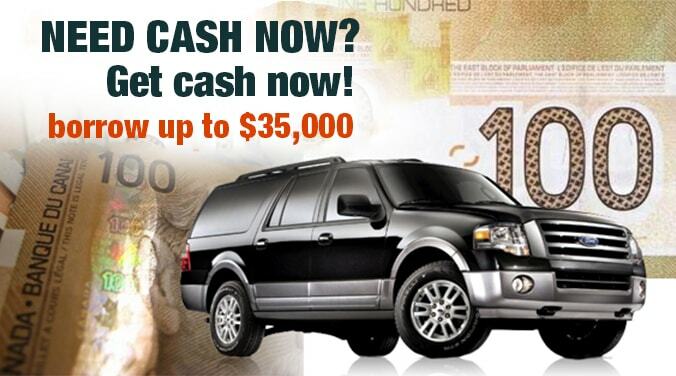 Fast Canada Cash will inspect your vehicle and base the amount of cash you are eligible for depending on your vehicle’s present worth. We are the leading equity loan company in Canada offering loan benefits such as 7 years loan term, low-interest rates with 10% to 49% (APR), you can pay as low as $59 per month and borrow up to $80,000. Best of all, you can keep and drive your car for the whole duration of the loan. We aim to provide cash to those in need and help them maintain a better credit score. Before finalizing the loan for approval with you our customer service representatives will gladly review the repayment terms and conditions. CALL US AT #1-855- 997-0157 (toll-free) To Find Out More About Title Loans!